Keys v. Alta Bates Summit Med. Ctr., an appeal from the California Court of Appeal, involved a woman who was fatally injured during a surgical procedure on her thyroid. On the morning of the injury, patient’s daughter and sister took her to the hospital early in the morning. The surgery was completed in what doctors believed to be a successful manner and transferred patient to the postoperative recovery unit. While in recovery, a nurse observed plaintiff’s breath to be noisy at 6:45 p.m. Nurse believed this noise was caused by a stridor, which involves an obstruction to the upper airway. The nurse called a code for a rapid assessment team to come and check on patient’s condition at 6:46 p.m., and the team arrived at 6:48 p.m. This team was made up of a respiratory therapist and an intensive care unit (ICU) nurse. The team left patient’s room at 6:57 p.m. While the respiratory code team was in patient’s room, they called her surgeon at 6:50 p.m. and informed him about her respiratory issues. Surgeon arrived at some time before 7 p.m. Once there, he attempted to reposition patient and suction her nose and mouth. He then tried to remove her bandages and sutures to relieve pressure, and she stopped breathing at 7:23 p.m.
At this point, surgeon called a code blue, but her respiration and pulse was stopped for a number of minutes. Patient suffered permanent brain damage as a result of not breathing and was transferred to the ICU, where she died around one week later, after being taken off life support. Patient’s daughter – one of two plaintiffs in the case – testified to seeing her mother lying on her gurney immediately following her surgery and said her mother did not look like herself, and her skin appeared gray. She could tell her mother was having problems and making a respiratory gurgling sound. She immediately asked the respiratory specialist to call the surgeon, but instead he tried to suction her twice and asked if she felt better. Patient nodded when asked if she felt better, but her daughter said she didn’t look right and asked for her surgeon to be called immediately. She felt there was a general lack of urgency in finding out what the problem was, and this upset her gravely. 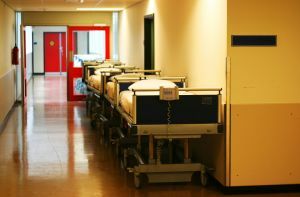 Patient’s sister – the second plaintiff in the case – also testified as to nobody being a hurry to find out what was wrong, and, by the time she was taken to the ICU, it was too late to do anything to save her. Patients daughter and sister filed a wrongful death action on behalf of patient’s estate, as well as claims of negligent infliction of emotional distress (NIED). Estate entered into a settlement with respect to surgeon and went to trial against hospital and other remaining defendants. As our Boston medical malpractice attorneys can explain, it is common in these types of cases to file separate claims against hospital and various medical professionals alleged to be negligent, as they are not all employees of the hospital. Jury awarded $1 million on the wrongful death claim and an additional $275,000 on the NIED claims. Defendant appealed. On appeal, Court of Appeal ultimately affirmed jury verdicts awarded in this case.